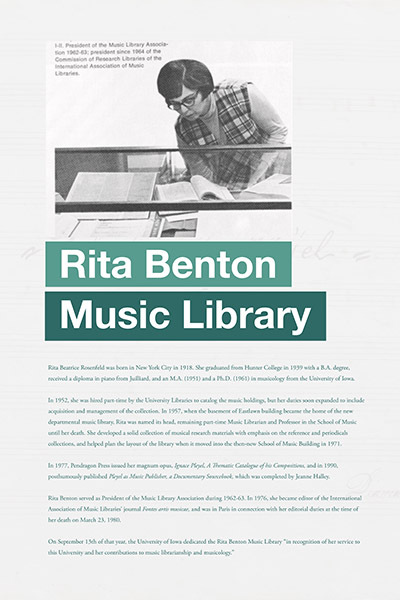 2016 was a momentous year for the Rita Benton Music Library at the University of Iowa, largely defined by the move into a beautiful, new facility in the Voxman Music Building eight. 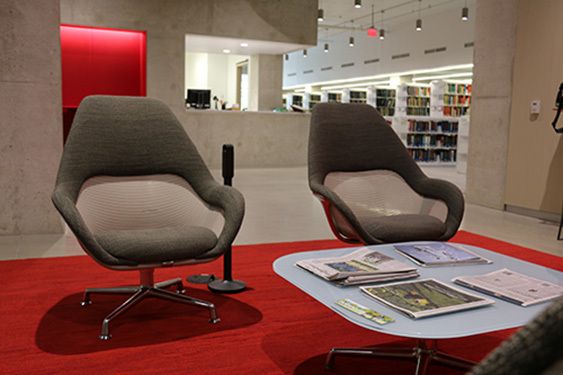 Here is our review of the year’s events at the Library, including highlights, predicaments, and a few peculiarities. 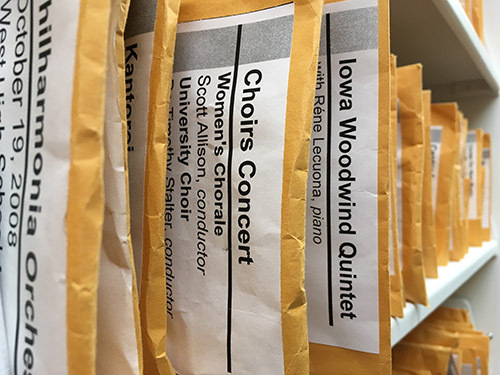 The Music Library’s student workers and full time staff separated non-folio scores from folio scores, thereby sorting 90,000 items in preparation for the move into the new library. Non-folio scores are now shelved in mechanical compact shelving, while the folio scores are shelved in open stacks. 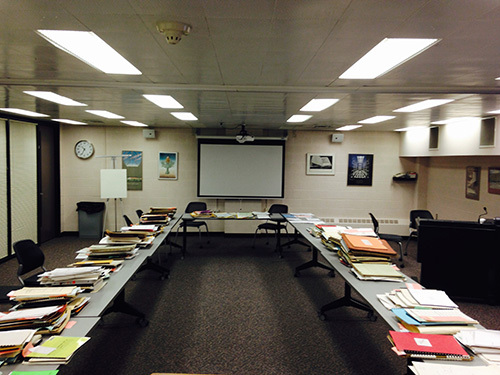 The School of Music’s Center for New Music donated its papers and library of scores to the Music Library in 2013. 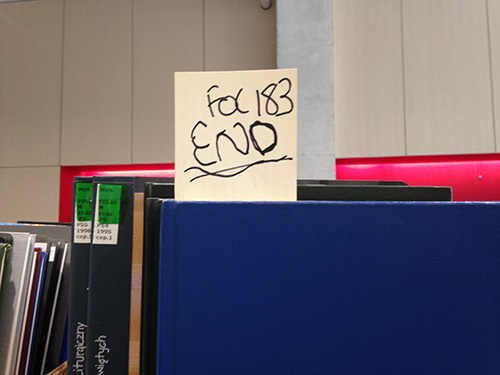 Most of the scores and all of the papers have been processed, but as of January, there were still some loose ends. 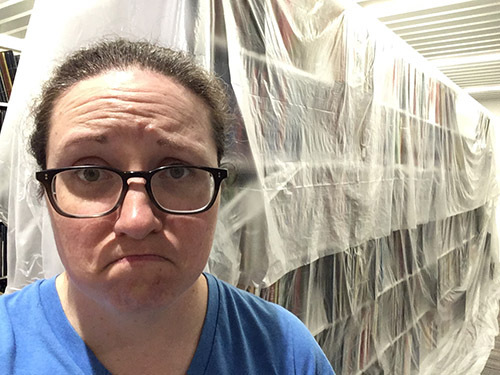 In order to organize scores that were separated from parts or otherwise incomplete, the music librarian and catalogers unboxed and sorted over 800 scores in a single day. 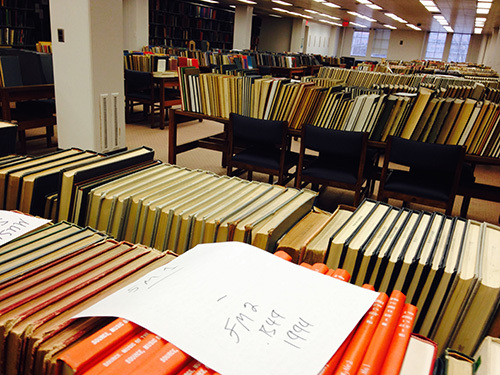 Many scores from the Center’s collection are now cataloged and available in the stacks (search for “Center for New Music, donor” in InfoHawk+). 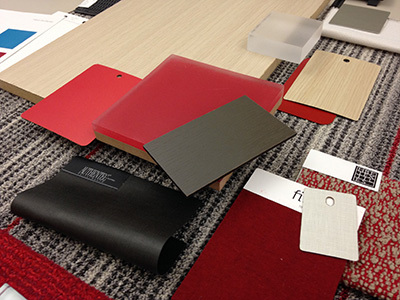 The Library staff met with campus planners and the local architects and designers to review swatches and furniture selections for the new Library. 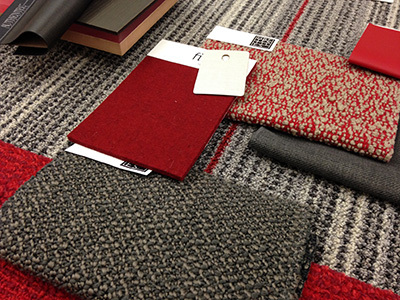 Some selections changed – for example, the red and brown fabric was dropped for the upholstery on the library’s large chairs and replaced with a taupe covering and the heavy red felt for the window benches replaced with a neutral gray, but the bright red wall finishes, striped carpet, and smooth black and gray finishes for the stools remained. 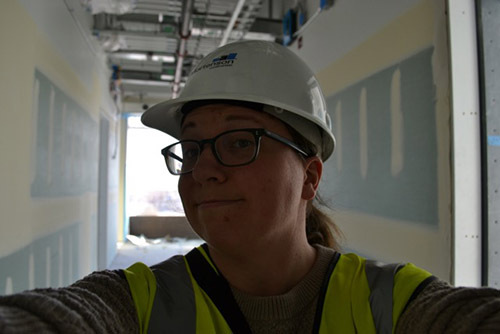 In March, music librarian Katie Buehner went on a tour of the Voxman construction site. 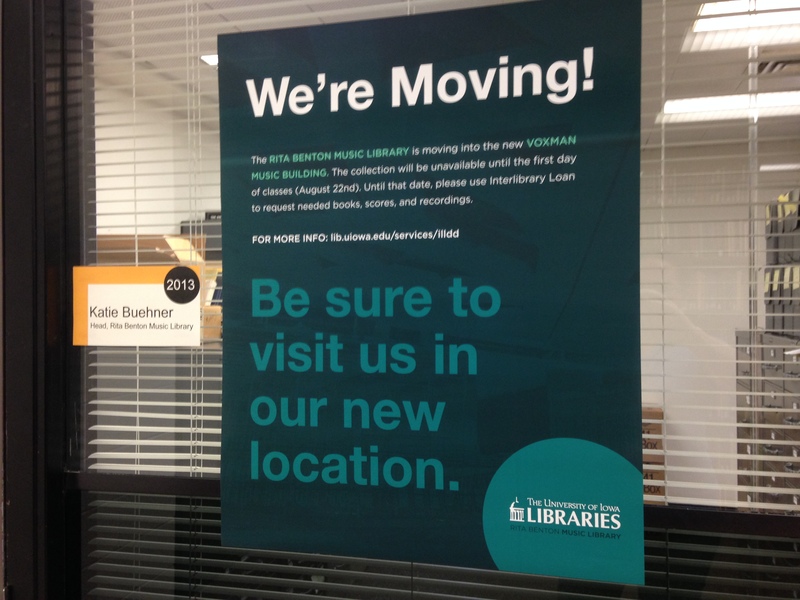 The Library was still very much a work in progress. 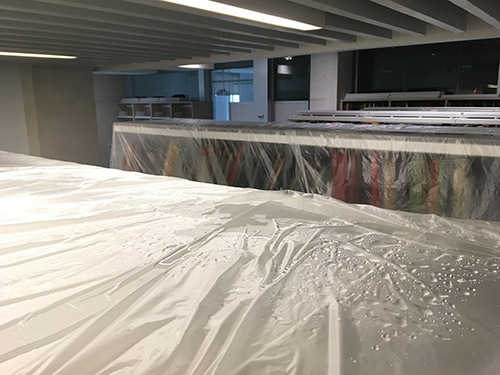 Changes made since her previous visit in June 2015 included drywall throughout and compact shelving track being laid in the workroom for the media stacks. 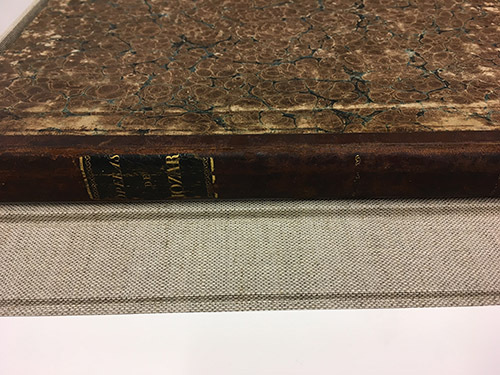 Adding a newly purchased item to the Library’s Rare Book Room collection is always exciting. 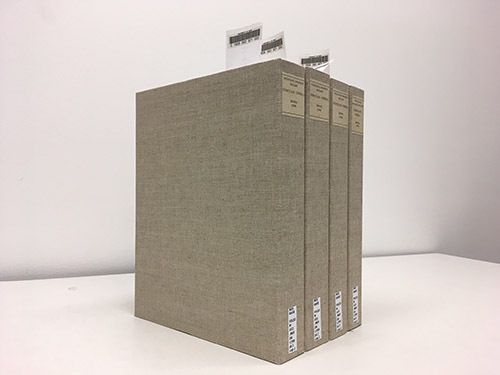 In April, the Music Library purchased a set of parts for arrangements of Mozart’s operas for string quartet. 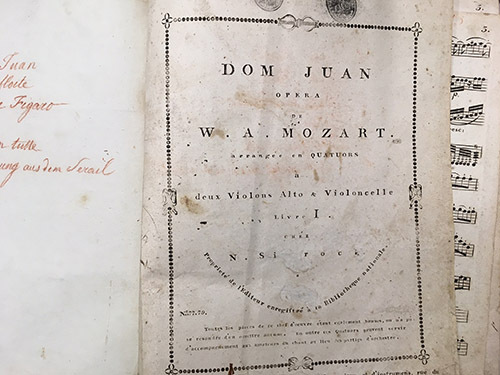 This marvelous set includes arrangements of Don Giovanni, The Magic Flute, La Clemenza di Tito, Cosi Fan Tutte, La Nozze di Figaro, and Die Entführung aus dem Serail. Overall, the parts are in quite good shape, especially considering their tentative dating of 1799. 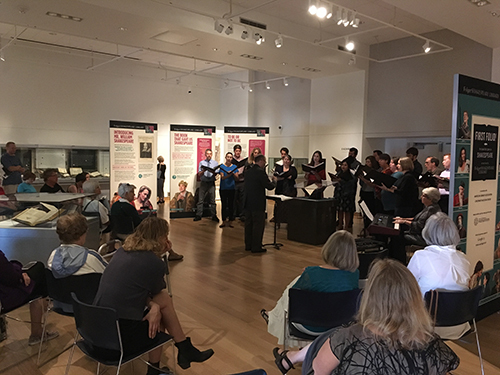 In May, music librarian Katie Buehner gave a lecture on the history of the School of Music at the Iowa City Public Library as part of their “Music is the Word!” programming series, celebrating the School of Music’s move to downtown Iowa City. 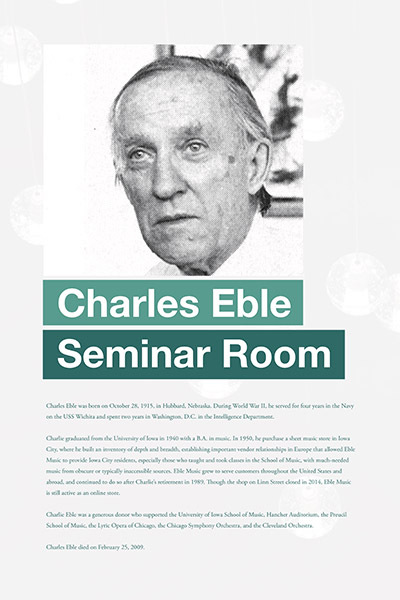 The lecture is available for viewing via the Iowa City Public Library’s On Demand streaming platform. 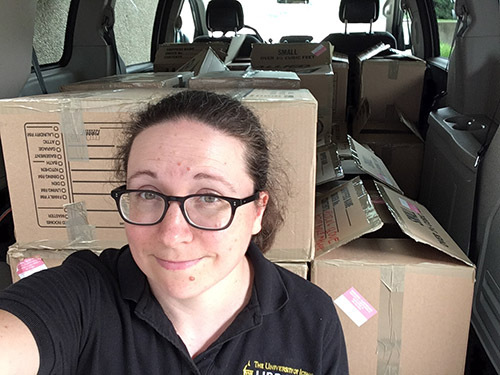 June was the first month of work for the Library’s new full-time staff member, Megan Small. 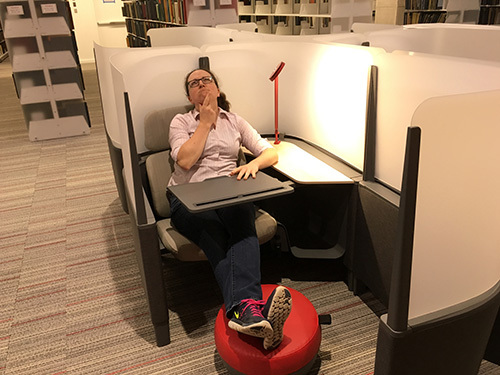 Megan oversees course reserves and works on digital projects, such as adding streaming audio recordings to the Iowa Sounds collection in the Iowa Digital Library. She supervises the Library during evenings and on the weekend. 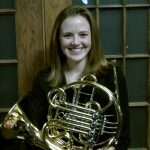 Megan worked previously in the library as a Graduate Assistant before heading to Hungary in 2014-2015 on a Fulbright Scholarship. 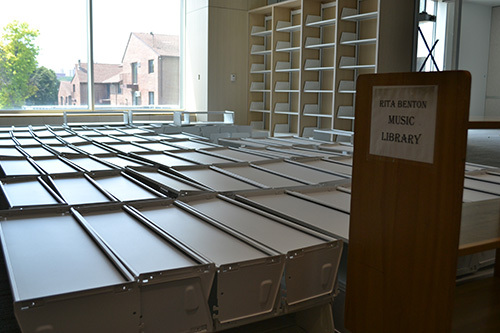 On July 26th, the very first cart of books made the trip from the second floor of the Main Library to the first floor of the Voxman Music Building. 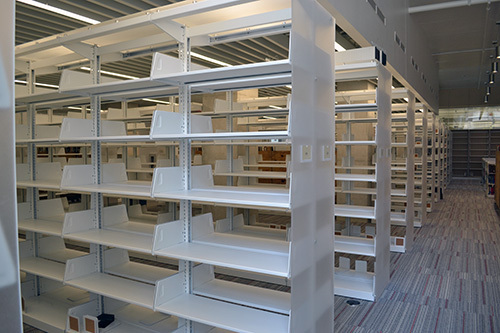 Professional movers used gondolas, or deep shelving units on wheels, to transport the Library’s 205,000 books, scores, journals, microfilms, and recordings a mere three blocks away to the corner of Burlington and Clinton. 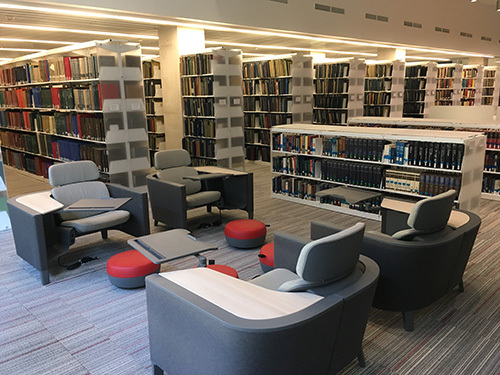 In the first few days of the move, the library staff members reset the height of almost every shelf in the Library to facilitate the offloading of the gondolas. 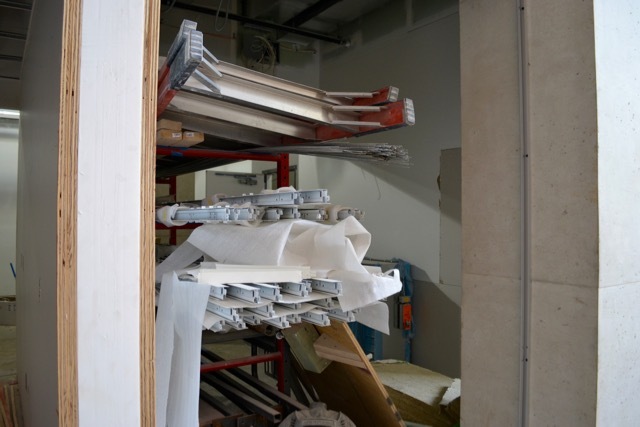 Excess shelving was temporarily stacked by the west window that overlooks the loading dock. 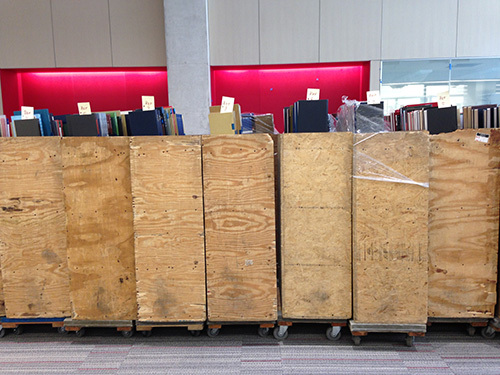 On August 5th, the final book was shelved in the new Music Library. 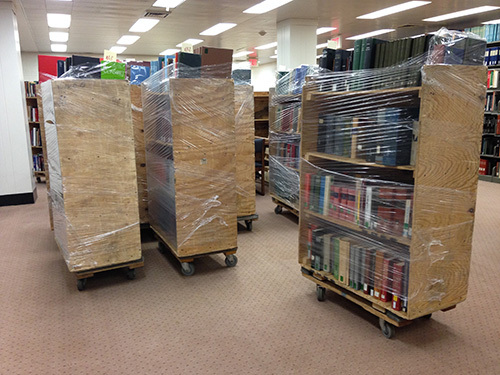 The Library’s temporary shelving in the Main Library was already being reconfigured to hold different collections. 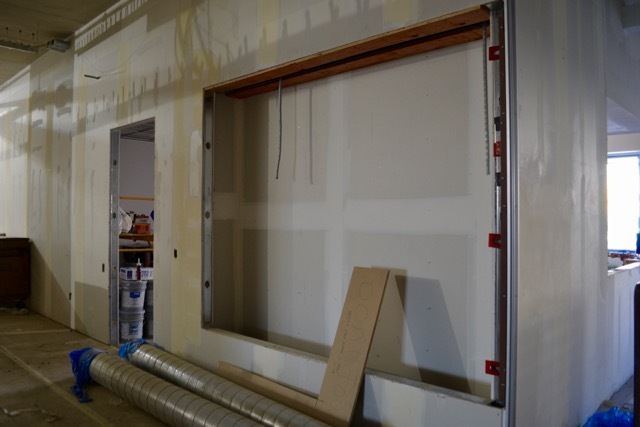 The Music Library was closed to the public from July 26-August 21 because the Voxman Music Building was still an inaccessible construction site. 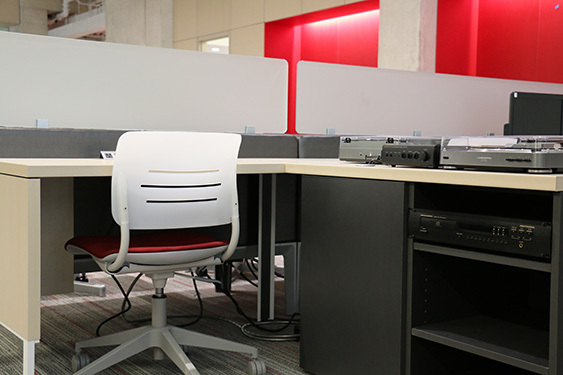 In that time, the staff worked to prepare the collection and facility for the Fall semester and most the new furniture was installed. 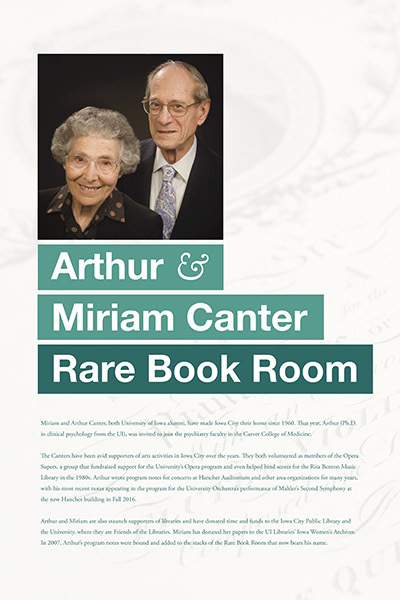 And on August 18, Arthur and Miriam Canter stepped foot in the new Rare Book Room which now bears their names. 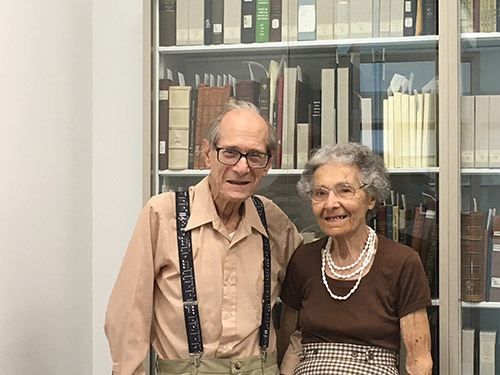 On August 22nd, the Rita Benton Library welcomed its first patrons to the new library. Voice students from School of Music and the Chamber Singers of Iowa City performed three recitals as part of “Noon Tunes” during the Main Library Gallery exhibition “First Folio: the book that gave us Shakespeare.” Songs featuring texts by the Bard are plentiful, and attendees were treated to old favorites as well as contemporary settings. Dr. Eberle singing "It was a Lover and His Lass"
September was also when the School of Music Recording Archive (1971-present), which includes reel-to-reel tapes, DATs, cassettes, and CDs, moved from the old recording studio on Riverside to the Music Library. 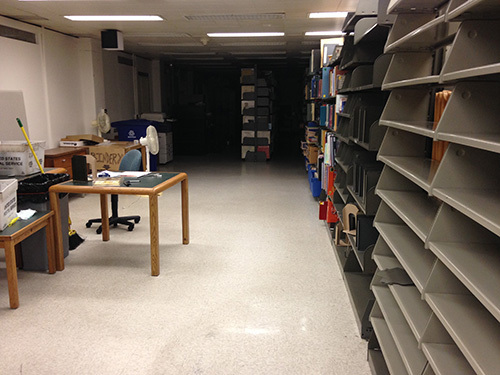 The collection will be inventoried and the long-term goal is to digitally preserve this archive for access by this and future generations. Select recordings from 2008-2016 are already available to stream, with a HawkID and password, via the Iowa Digital Library. The Grand Open House and Ribbon Cutting for the Voxman Music Building took place on October 21st. 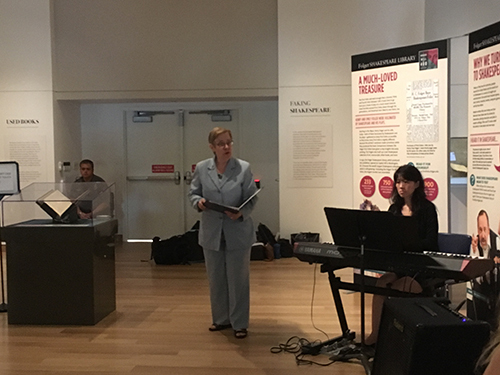 The Music Library created a popup exhibit of items drawn from the history of the School, displayed information about the people for whom rooms are named in the Library, and had a steady stream of visitors throughout the afternoon and into the evening. 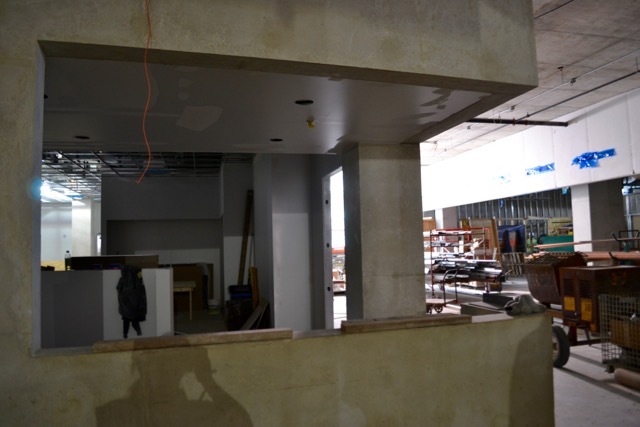 October was also the month where we experienced some of the growing pains of being in a new building. 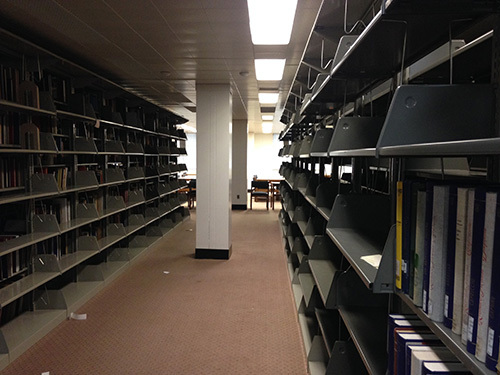 During a significant temperature change, condensation started to drip from heating and cooling units above the stacks. 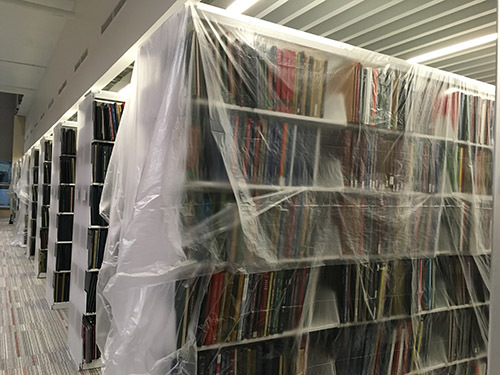 Double bass professor Volkan Orhon reported moisture in the stacks, and the library staff hustled to respond, including members of the Libraries’ excellent Preservation and Conservation departments. No scores or books were damaged. 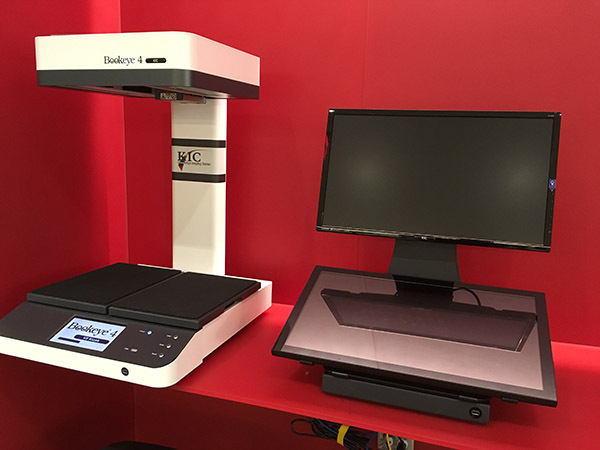 A key piece of equipment was added to the Music Library this Fall: a high speed, heavy duty scanner. 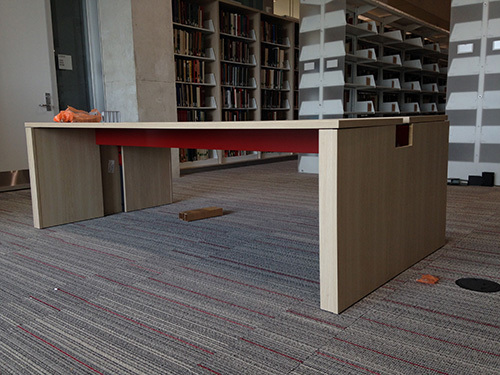 It is highly used and popular with faculty, students, and members of the public. The Music Library is thankful to the Coke fund, which funded the purchase of the scanner. Currently, the Music Library is gearing up for 2017. 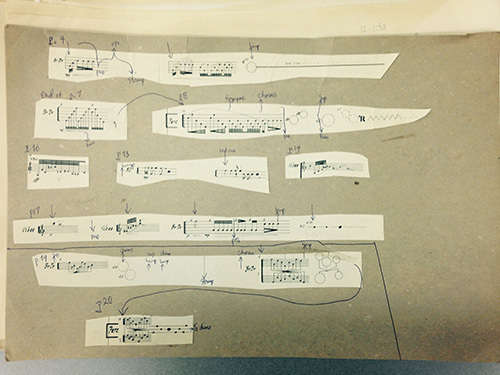 Plans for the coming year include several efforts to preserve and digitize portions of the School of Music’s many archives, completion of a finding aid for the Frederick Crane Papers (marvelous resource for musical history in Iowa, study of the Jew’s Harp, musical instrument iconography, and more), partnering with Dr. Wilson Kimber and her class on Music and Cultures of Print in the Eighteenth Century (which will draw upon many items held in the Canter Rare Book Room, and hosting the Midwest Music Library Association annual meeting in October. 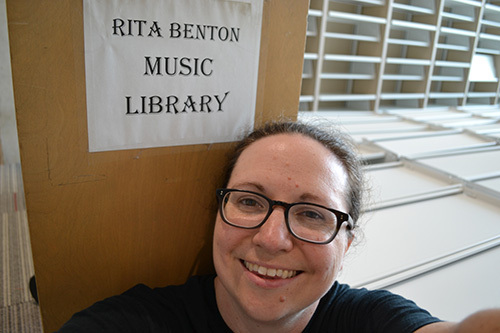 We hope you will visit the Rita Benton Music Library, use its collections, draw upon the expertise of its staff, and enjoy our beautiful new facility in the Voxman Music Building.